What is the meaning of the title of the book BEYOND THE PEWS? After 6 months has passed from the Oak Creek shooting in August, Jillian is speaking out. What do we need to know about the Sikh community that was not shared by the new media? You are the group that wear turbans, long beards and women wear traditional garb? Most people assume that you are apart of the Muslim faith, is this true? If not, how are you different? How can reading BEYOND THE PEWS help us better understand the Sikh faith and expand our own spiritual identity? 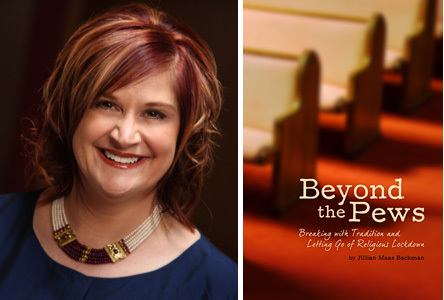 In BEYOND THE PEWS, you will follow the fascinating life story of a woman who heard angelic communications and received soulful insights from a world rarely visible to the naked eye. As a child in the church of her minister father, the author saw angels lingering in every space…. Tall ones, short ones, chubby ones… and colors encircling people. Transparent colors in every hue of the rainbow poured out before her eyes. After years of processing these faith-based sensory perceptions, she discovered the soul’s natural intuitive language. Attorney MARGARET MCLEAN is a law professor, former prosecutor, and on-air legal analyst. She is the author of the critically acclaimed legal thriller Under Fire, which features an arson and murder trial (2011, Tor Forge Macmillan). Her second novel, Under Oath, (April, 2012) is about the code of silence murders in Boston. She has co-written a dramatic courtroom play, based on Under Oath, which is in development with the Playwrights/Directors Unit at the Actor’s Studio in New York City. She is currently working on her third novel, Under Treason. She was hailed as one of the next faces of Boston crime fiction by the Boston Globe. Next PostShattered Lives: Presents True Crime Author Diane Fanning, Celebrating Her 20th Book Release!